It’s not bitter as its Sugarfree not Sugarless. With taste it gives you good health by keeping eye on your calories. so stay healthy and enjoy the sweetness of life :). Being original is something we all feel proud on. We boast about the benefits of being yourself or being original and not faking it, but many times we end up indulging in fake stuffs. 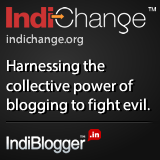 Recently I attended “original bloggers meet” organized by Indiblogger and sponsored by HP and Harper Collins at the Fortune park hotel. There the main dictum of the meet was being original, there were posters placed saying original blogs are happy blogs. It is very true that no one wants to read copied stuff. You are creative only when you are writing your original ideas and not copy pasting someone else words. In the meet other than the usual blogger interaction and the mad fun we also had a presentation from HP. Where they emphasized on the importance of using original stuffs and how buying a cheap copy of the original is actually a loss for the consumer and manufacturer too. I always believe in buying and using original stuffs and this meet gave me a reason to share my views on the importance of using original. I must start here with a confession, few years back I used to do street shopping every now and then. And finding some brand dupe there used to be my best find of the day. I used to buy them because they were the closest copy of the original branded merchandise and was way cheaper than the real one. With time I became financially capable of pampering myself with the real branded stuffs, and that was the eye opener for me. After using the branded product I actually found out the difference between an original and the dupe of the same. As we all know that copies are cheaper than the original product and that is the biggest reason people buy them. But is it really as cheap as we think it is, let us do some calculations to understand this better. One branded pair of sports shoe may cost 2500 Rs and will last me for 3 years easily with rough usage. I will also have warranty and free servicing for the first one year. On the other hand the cheap copy of the same branded shoe will cost me 500 Rs but will go for just 6 months with similar usage. And there is no warranty or free servicing too. Now for 3 years I have to buy this shoe every 6 months that is 6 times, so my total cost is 6*500=3000 Rs and the servicing or anything I got fixed in-between is the extra cost on me. This clarifies that duplicate product looks cheaper in the beginning but in long run it costs more than the original and it is not at all value for our heard earned money. · Good quality raw material used so lasts long. · Feel good factor of brand power. I just took the example of shoes but same holds good for everything we use in our day to day life. Be it the phone, bag, cloths, skin care, food, movies, music, books or anything else, everywhere using the original product is the key to get good value for money and service. In the presentation HP mentioned about their printer cartridge, here also using real HP cartridge is important. Say you bought a branded printer but using some fake cartridge will give you bad quality prints, the number of prints per cartridge will also be less so you will end up refilling more often and using a bad quality cartridge may deteriorate your costly printer too. To motivate consumers for using real cartridge HP have reduced their cartridge prices quite a lot. They also have many attractive facilities like dial a cartridge and QR labels which you can read with QR reader app on your smart phone to find if the cartridge is real. 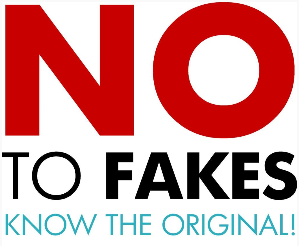 With the advancing technologies it is very hard to get fooled by the fake product, so don’t try any harder and use only original products. 55 Fiction is a form of micro fiction that refers to the works of fiction limited to a maximum of fifty-five words. She checked herself in full length mirror, she was dressed to kill. Her happiness had no bound after all he finally got ready to take her on a romantic candle-light. She walked to the living room humming some romantic number only to find him sitting on couch and telling her “Honey, its India’s match today”. On this blog I write about anything and everything which I feel strongly for. I love writing fiction, and Hindi poetry... and this is what you will find more often on this blog.... have fun!! मैं ऐसी क्यों हूँ ? Post Freedom won the Blogeshwar2.0 on 25th August 2010. 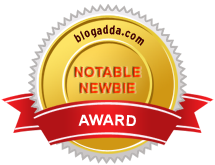 * This blog was selected as Notable Newbie on blogadda.